Dr Jeroen van der Heijden (1977) is Senior Research Fellow at the ANU’s Regulatory Institutions Network (RegNet), and Associate Professor at the University of Amsterdam’s Law School. He received his PhD in Public Administration (highest honours) in 2009, and his MSc in Architecture (high distinction) in 2002, both from the Delft University of Technology, the Netherlands. Jeroen works at the intersections of regulation and governance, policy change, and urban development and transformation. His research aims to improve local, national and international outcomes of urban governance on some of the most pressing challenges of our time: climate change, energy and water use, and a growing and increasingly urbanising world population. Through his work Jeroen seeks to inform ongoing academic debates on these challenges, as well as to provide hands-on lessons to policy makers and practitioners on how to govern urban sustainability and resilience on a day to day basis. He has a track record of outstanding publications. Over the last decade, he has published four books (the most recent is Governance for Urban Sustainability and Resilience, Edward Elgar, 2014) and over 30 articles in peer reviewed journals. He has also published a series of over 50 articles, book chapters and positioning papers for a policy and practitioner audience. Jeroen maintains an urban sustainability and resilience blog on which he regularly discusses his research findings (https://urbansustainabilityresilience.wordpress.com/). In 2011, he was awarded a Netherlands Organisation for Scientific Research VENI grant for the period 2012-2015. In carrying out his VENI research project he has been studying over 60 voluntary programs for increased urban sustainability and resilience in Australia, India, Malaysia, the Netherlands, the United States and Singapore. The research builds on interviews with over 200 key-stakeholders belonging to these voluntary programs. 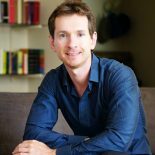 In 2014, Jeroen was awarded an Australian Research Council DECRA grant to continue his work on governance for urban sustainability and resilience for the period 2015-2018. The DECRA grant will further strengthen Jeroen’s work on the intersection of cities, governance, and climate change. I would like to add to the chorus of thank-yous here. It was very helpful reading how you experienced the whole proposal-book process, and also seeing your proposal and cover letter. Thank-you for sharing that.